When I started in the mailing industry (way back in the 20th century), the Domestic Mail Manual (“DMM”) was a bound, hard-copy reference book. Having the look and feel of a phonebook for a major metropolitan area, the DMM was regularly criticized for the small print, lightweight paper and dizzying cross-references. 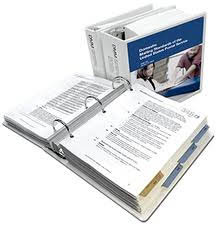 Updates and corrections had to be stored in a separate binder. However, being a true “mail geek”, I looked forward to its annual publication. I would spend a weekend reading all the sections impacting First-Class Mail, adding tabs for key areas on mail preparation. I would carry the DMM with me when meeting with US Postal Service (“USPS”) representatives. This was very helpful if there were any disagreements on a particular mailing my company had submitted. In 1994, the USPS announced it was streamlining the DMM, making it more accessible, easier to use and more convenient to update. The new format included the migration from bound book to a 3-ring binder, larger font sizes and heavier paper stock. Updates would be sent as shrink-wrapped packages to replace entire sections. Unfortunately, this also meant increasing the physical size of the DMM. The hefty 3-inch binder wasn’t as easy to flip through, nor simple to put in a briefcase when going to a meeting. I created an “alternative DMM” binder, containing only the sections that impacted my mailings. About this same time, the first digital copy of the DMM was produced by Window Book, Inc. Available as a package of 3.5-inch diskettes, the digital DMM could be loaded onto the hard drive of a computer, and then searched by key terms. Although basic by today’s standards, this was a significant leap forward for DMM users. That lead to the current on-line DMM, available through the USPS Postal Explorer website. Now, when users search for a particular term, the website not only returns DMM citations, but also information from Quick Service Guides and Customer Support Rulings. And for people like me, you can download a complete DMM to your hard drive. In addition to the improved search functionality, updates to the online DMM are seamless through the DMM Advisory system. Users can see the latest up dates by visiting the DMM Advisory website, or they can sign up for email alerts by sending a request to dmmadvisory@usps.com. The alerts include proposed changes to the DMM, as well as price adjustments or USPS filings in the Federal Register. Overall, the new DMM is much better than the hard copy “phonebook” we used 20 years ago. The USPS continues to streamline the manual by eliminating duplicate sections or conflicting regulations. The DMM Advisory alerts help conscientious mailers stay up to date with new and proposed changes. But the system still needs improvement. Any search engine is only as good as the terms users enter. Mailers still need to read through not only the Quick Service Guides, but all the related DMM sections when preparing a mailing. And some requirements, like the Intelligent Mail Barcode and e-Doc specifications, aren’t in the DMM, but are separate publications on the National Customer Service or “RIBBS” website. Question: Effective January 28, 2013 mailpieces bearing a POSTNET barcode are eligible to claim the ________ discount. Both respondents have considerable experience in mail, and have passed several certification exams. However, each person used different terms to search the DMM, so they came up with different answers. I can envision an argument with an acceptance clerk over which interpretation is correct. In most cases, setting aside who is right, the clerk will have the final word. We’ve come a long way. But we’re not there yet.